Dare to be different in these bold handcrafted shoes. 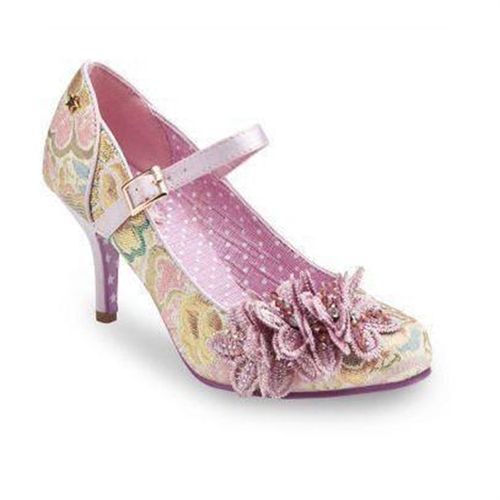 In this purple &pink floral combination with purple sparkle flower embellishment, they look great on the foot and feel good too! Featuring a strap design for an easy and snug fit, they boast comfortable padding and a grippy sole to keep you comfy all day. 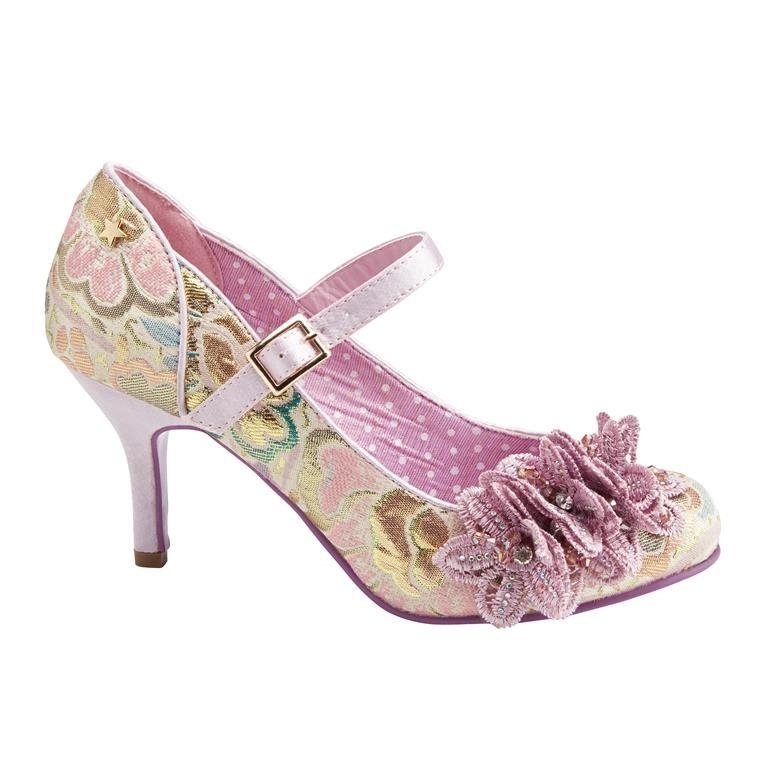 These brilliantly detailed shoes are sure to make you stand out this season and they're perfect if you're looking for a unique look to match up with vintage swing dresses.